Tumcu! Tumcu! Tumcu! Tumcu! Here it is! 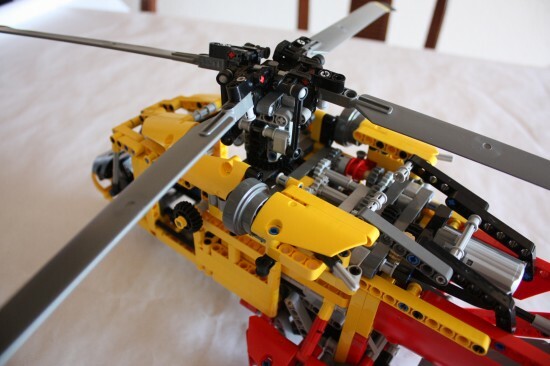 One of the coolest LEGO Helicopters you will find. I review here the model A of the LEGO Technic 9396 Helicopter and before you keep reading I have to say that I love it!. Where can I buy LEGO Technic 9396? Hover into position and make a daring air rescue. This detailed 2-in-1 model features a pitching main rotor, spinning tail rotor, retracting landing gear, sliding doors, opening rear cargo ramp and a winch that lowers to rescue people from danger. 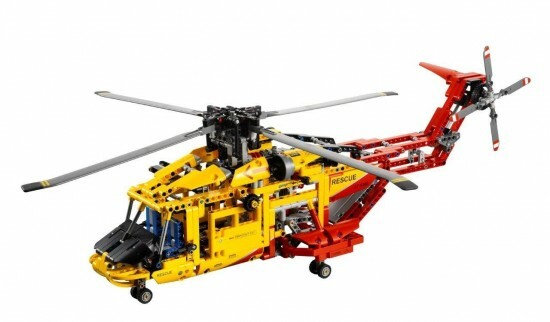 Rebuilds into a twin-rotor helicopter with pitching rotors and retractable landing gear. Don’t get fooled by the size of the box, this model is a big one and it has three manuals. They are pretty straight forward to follow and has a last part about adding Power Functions into the model. As I said this is a big model that will give you a good time building it. If I am not wrong it took me around four hours to build it that it isn’t that bad if you compare with the eight hours building the Unimog or almost 11 hours I spend building the Mobile Crane MKII ( mainly due to a gear that I forgot to add on the very begining ). 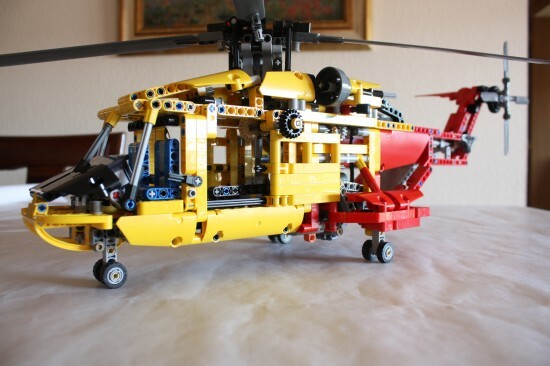 The Helicopter is reasonably easy to build and it is quite easy to test stuff while you build. The helicopter looks impressive once completed and I don’t even add any decal to it. Let’s review each part and then I told you about the Power Function add-on. But keep one thing clear, this beauty won’t move a wheel of the ground… not even with four XL-Motors attached to it. The rotor of the LEGO 9396 Helicopter is a piece of art. It consists of four blades that can have their attack angle adjusted with a level near the cockpit. You need to manually turn the big gear on the left side of the helicopter to make the rotor work ( unless you use the PF parts that I will write about in a minute ). One thing you see is that there is a lot of inertia on the rotor, it takes time to move and it keeps moving once you stop turning the gear. The M-motor that it is recommended for this set has a hard time moving it. It is lovely to see how you can adjust the blade angles even with the rotor working at full speed. Quite nice building. Another quite interesting part of this helicopter is the landing gear that can be raised using the Power Functions much like the one on a plane. This ramp can be operated using the Power Functions add-on so it can be raised and lowered to allow access to the helicopter’s insides. The helicopter features two sliding doors, one at each side. I wasn’t expecting a model that looks so cool. Here you have a video with the main functions. – Quite big and good looking model. – Lots of different functions. – It doesn’t fly at all. 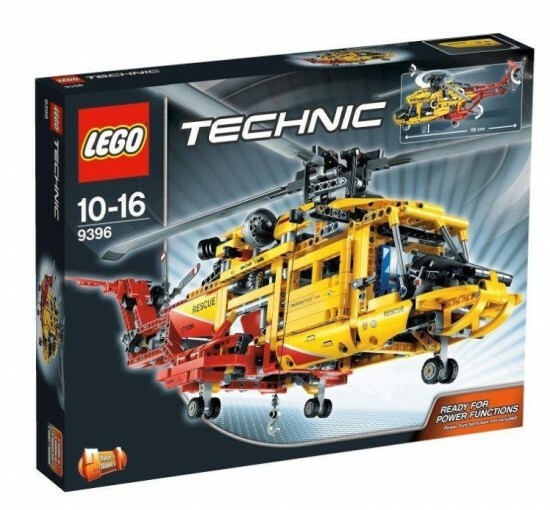 Does LEGO Technic 9396 worth the money?